Nature Lovers marvel at the mysteries of nature and appreciate natural beauty deeply. You may continue to experience freshness of appreciation anew and experience awe, pleasure, and wonder in your everyday life with an “innocence of vision” not unlike that of a child. For example, you may find that you experience the sunset as intensely each day as if you were seeing it for the first time. You have probably found that you have an appreciation for life’s daily gifts that others take for granted. You can find the sacred in the ordinary and tend to notice the subtlest of details. You are usually mindful of the richness of experience and appreciate complexity; intricacy and totality. Perhaps you find yourself organizing activities around nature, engaging, for example, in outdoor activities such as hiking, boating, or even planning vacations around landmark scenic landscapes such as the Grand Canyon or the Grand Tetons. Nature instills in you a glorious sense of wholeness and well-being and something else, too: a sense of that larger universe out there and a sense of oneness with it. You never fail to appreciate the natural beauty in your surroundings, whether that be the Grand Canyon, a peaceful lake, or your own backyard. Perhaps you’re a gardener. When you put on your gardening gloves, you instantly slip into a natural, nurturing rhythm. You find it gratifying to watch your seeds and cuttings grow. You find that caring for your plants buffers you from the everyday stresses of the outside world. You don’t mind the labor and, in fact, take pride in it, for you know that you will be rewarded beyond colorful blooms. The secrets of successful gardening, such as moderation and consistency, resonate with your behavior and decision-making in your everyday life. You understand the value of establishing a good daily routine. People who commit to taking care of Mother Nature’s bounty tend to be disciplined, patient, tenacious, caring, giving and enjoy sharing the joy and beauty of nature with others. You have respect and appreciation for natural properties and causes — from how seeds grow into plants or how minerals and crystals form rocks and geological formations to how the power of your subtle energy system can improve personal attributes and enhance health and well-being through meditation. You are probably comfortable with solitude and can allow natural wonders to completely absorb your attention (e.g., such as gazing at a tiny flower), which makes you a natural candidate for meditation. You will have an instinctive understanding of how Sahaja meditation can serve as the vehicle through which you can influence the subtle inner energy that naturally resides within you. Just as every plant seed is a source of energy with the power to create new life, so it is with humans, and the powerful energy source that exists within each of us. Sahaja meditation can unlock the potential within each human being, just as Mother Nature unleashes energy within every seed that will blossom in beautiful and diverse ways. Inner energy, is perhaps a small slice of Mother Nature, replicated inside each of us. Sahaja meditation is a vehicle through which the mind-body’s natural tendencies can be influenced, such as its ability to heal itself or its innate yearning to connect with the all-encompassing energy of the universe. You’ll find that your meditative practice, like every aspect of Mother Nature herself, grows and evolves over time. The underlying operating principle of Sahaja meditation is this: We all have a completely natural energy already residing inside us — in fact, we were born with it. This natural energy passes through energy centers comprised of nature’s five elements combined — earth, air, water, fire and ether. 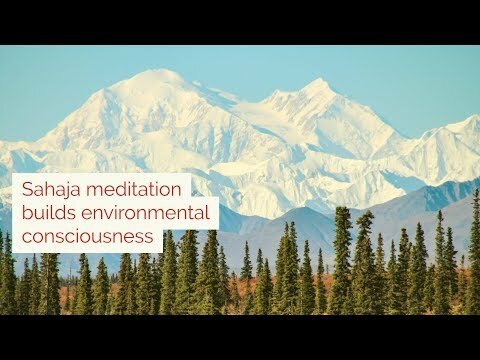 And since techniques of Sahaja meditation revolve around these subtle inner energy centers being in balance, the entire basis of meditation is use of the natural elements to heal, rejuvenate and balance these energy centers. The process is like sowing a seed into the earth, watering it, letting it get sunlight and watching it grow naturally. This is exactly how you’ll progress in your Sahaja journey, as well — entirely naturally… nourishing your inner energy and energy centers, nourishing them, and watching yourself grow at your own pace. Simply stated, Sahaja meditation is not a devised or invented mental exercise meant to calm or train your mind; rather, it involves the use of natural energies and elements to integrate your physical, mental, emotional and spiritual sides into complete balance. When you experience problems down the road, you can simply use the natural all-pervading energy and nature’s elements to clear your energy centers again. This vital all-pervading energy of the source is limitless and infinite. Complicated methods of meditation invented through this research study or that may charge you money to keep their classes running, but a Sahaja meditation session costs you nothing. The philosophy behind this is that every ingredient necessary for you to learn and benefit from Sahaja meditation already resides within you — it was given to you naturally, free of charge. No one should charge you money for what’s already yours. This philosophy resonates with what you observe around you in nature — a plant can’t be paid to grow. You can’t pay a flower to change its color to a color of your choosing. Life and growth and progress are a natural, innate process that already exists within human beings. When you practice Sahaja, you’ll immediately realize that it feels very natural. Most all Sahaja meditation practitioners will tell you that they enjoy meditating in a natural setting or foot soaking on the beach. 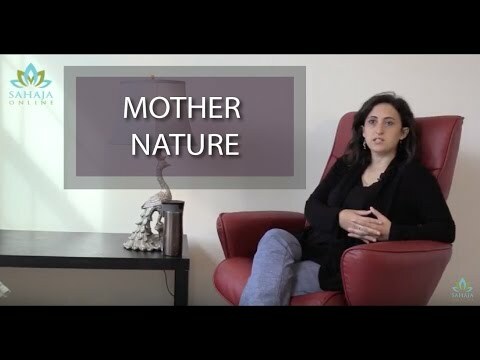 The reason is that the experience is much deeper because their energy centers resonate with the natural elements surrounding them more easily than they do while sitting on a chair in an air-conditioned, man-made room. If you’re a person who enjoys spending time with Mother Nature, you’ll progress much faster in Sahaja meditation. If you, like other nature lovers, are constantly amazed at nature’s beauty and continue to discover it anew all around you, you’ll find that Sahaja meditation helps enable the same with your Self, the people around you and your life in general. The more you discover, the more you realize how little you knew about yourself and your life and how much more there is to discover, just as the creations of nature constantly surprise you. Beginning with deep insights into your inner energy centers to the depths of spirituality and its origins, and how humans have progressed over the ages in their pursuit of self-discovery, self-actualization, and self-realization, there is plenty to keep you busy exploring, limited only by your enthusiasm, time and effort. And the more you know about yourself, and especially the spiritual self, the more control you have over yourself. You’ll come to understand your place in this world, the purpose of your life and how your daily activities blend into the larger cosmos. For those who choose to explore Sahaja meditation, this allows you to discover the depths of human existence and your own personality along with that of people you interact with. As you meditate more and more, you’ll realize that your thinking and attitude in life is going green. You begin to appreciate natural things more than ever, and you’ll find that they have beautiful vibrations that you can perceive through your meditations. You may tend to simplify your life in so many ways, from your diet to your lifestyle to stabilizing your attention and focus in life. The number of complexities in your life, things that you get caught up in that confuse and trouble you now, begins to decrease. Your attention will feel sharper and clearer, yet life will seem much simpler and joyous, and your closeness with nature is greatly enhanced. The health of your mind-body responds naturally to meditation. You may find that some health problems simply go away; others become easier to manage and efficacy increases significantly as you use meditation along with your regular medication or other treatments. You may feel lighter, as though your spirit has been set free from many of the complexities and problems in this world. Because Sahaja improves self-awareness and introspectiveness, you’ll have live and constant feedback of what’s going on with your mind and body. This powerful self-diagnostic tool allows you to quickly pinpoint the root causes of problems and adjust your thoughts, emotions and behavior to resolve your problems. Your own internal process of self-realization increases your emotional intelligence — your compassion for and sensitivity to others — and improves your communication skills, which improves your family and social relationships. Your enhanced sensitivity and awareness of many subtler traits within you (such as compassion, contentment and creativity) increases significantly. Meditation can alter your conscious perceptions of yourself and the world around us. Mindfulness can be characterized as the ability to self-regulate one’s attention to focus on the present moment with curiosity, openness and acceptance. The ability to pay attention to the present moment includes self-awareness — the ability to observe and monitor your thoughts, feelings and sensations as they are happening and to be in touch with your actual felt experience. Mindfulness is nonjudgmental awareness, focusing on the present moment without the stress of judging it. Ordinary consciousness involves a subjective experiencing of our environment — our minute-to-minute existence. These perceptions are characterized by the sense that there is a “self” who is experiencing these events, emotions, thoughts and sensations. During Sahaja’s state of thoughtless awareness, the self is only present as the subject of the experience. This self is the pure inner self that does not associate itself with thoughts, emotions or sensations. This form of pure awareness may include some degree of self-referential awareness; that is, a self as object (the outer or material self) and a self as subject — an observing self, or self that merely observes. Sahaja’s thoughtless awareness state helps you identify your inner self, while becoming a detached witness to whatever else you were involved in or thought of as being associated with “yourself.” This ability to detach allows you to exercise more control over your thoughts, emotions, urges and desires. Through Sahaja meditation, you become better at simply sitting still, even as you experience an impulse to act. Experienced meditators have been shown to actually switch brain regions on and off in ways that improve attentional control, cognitive control and mental health, even when not meditating. Meditators develop a new “Idle Mode” that’s more present-centered and less self-centered and leads to better mental health. Several studies have found that attentional control through Sahaja meditation helps regulate emotional state, and that regularly training the mechanisms of internalized attention, coupled with experiencing positive emotions during meditation increases our psychological stability (e.g., Aftanas L., Golocheikine S., 2001, 2002, 2005; Cahn and Polich, 2006). Meditation also increases our resilience and capacity to cope with negative events (Aftanas L., Golocheikine S., 2001; Davidson, R., et al, 2003). Meditation modulates the activity of neurotransmitters and neurohormones that regulate mental health, such as, serotonin, dopamine, epinephrine and nor epinephrine, cortisol and GABA. Meditation shifts control of our attention, which results in a shift in our conscious awareness. And it is through this shift in conscious awareness — in slipping through this window that transcends the ordinary mental and physical planes of awareness — that we receive the benefits of meditation. By increasing attentional sensitivity, meditation enhances your ability to observe the subtle details of your surroundings with more depth, clarity and perspective. In fact, a higher percentage of our total attentional capacity becomes focused on subtler things. Meditation improves your ability to sustain attention and ignore distractions, even when you’re not meditating. Rather than existing solely on the ordinary physical, mental and emotional levels you’re accustomed to, you begin to notice and appreciate the subtler aspects of things… dewdrops on a flower petal… the individual voices and languages of chirping birds. You’ll be better able attend to your feelings, and experience a deeper spiritual connection, sense of oneness with the universal energy and to yourself. Inspires creative expression. 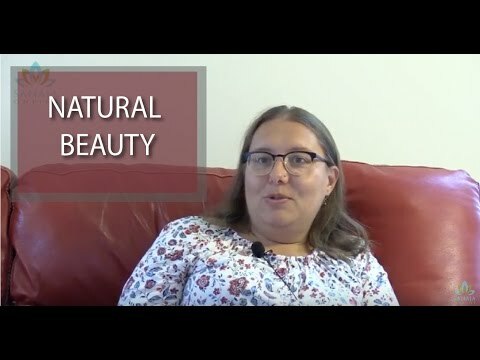 Natural beauty may inspire the desire to create artistic representations through activities such as painting, floral arrangements, etc.. An enhanced ability to notice and appreciate the subtler details of nature inspires even greater heights of creativity. Self-actualization is an ongoing state of being and becoming. It is the process of actualizing one’s potentialities at any time, in any amount.In self-actualizing moments, we are experiencing fully, vividly, selflessly, with full concentration and total absorption. We are wholly and fully human. We learn to make growth choices instead of fear choices. The self-actualizing person has an authentic self, and strives, from his or her very core, towards growth like a plant reaches toward light. Chances are, you’ve already found that nature inspires what Abraham Maslow referred to as peak experiences, one of the most important aspects of self-actualization. Theseexperiences are moments of ecstasy, harmony, awe, wonder, and a sense of limitless horizons, followed by the understanding that the experience had deep meaning that could be applied to everyday life. They are what we think of as “the epiphany,” luminous, transient moments during which we have a sense of oneness with the universe. Over time, these moments transform into a more constant or longer-term form of peak experience is known as the plateau experience. Your love and appreciation of nature may inspire you to develop what Maslow called “Being values” or “b-values,” which are part of becoming a self-actualizing person. These higher Self-Actualization and Self-Transcendent needs are growth needs that might be achieved, for example, by engaging in meaningful, useful work and service, promoting the cause of justice, creatively expressing oneself or finding spiritual fulfillment and self-transcendence in appreciating what is true, beautiful and good. Davidson RJ (2004) Well-Being and Affective Style: Neural Substrates and Biobehavioural Correlates. Philosophical Transactions: Biological Sciences 359: 1395-1411. Davidson, R., Lutz, Antoine, et al. Brefczynski-Lewis, J., Johnstone, T.. Regulation of the Neural Circuitry of Emotion by Compassion Meditation: Effects of Meditative Expertise. PLoS ONE. 2008; 3(3): e1897.